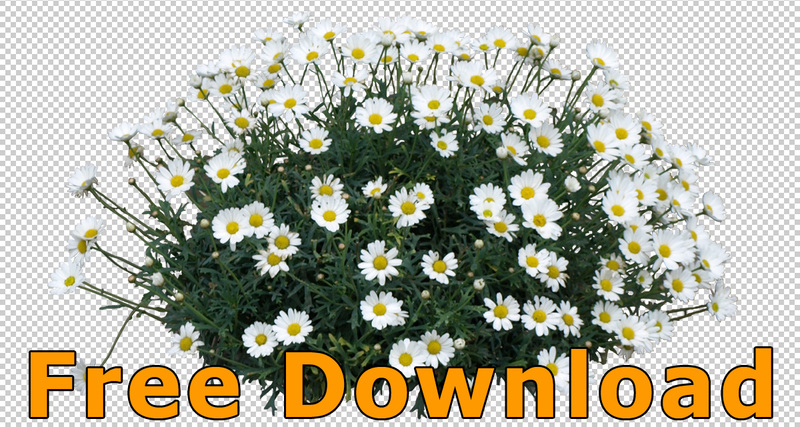 When preparing architectural renderings and illustrations for potential customers you often want to add some flower cutouts, cutout trees, people silhouettes or bushes to your pure rendering when you export it from the 3D tool. 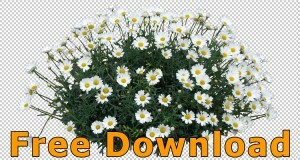 These are graphics with transparent backgrounds that could be used as staffage (trees, people, flowers etc.) e.g. in Adobe Photoshop to bring life to your architectural scenery. 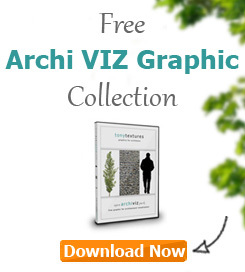 We recommend every architect to build up his own library of graphics over the time. 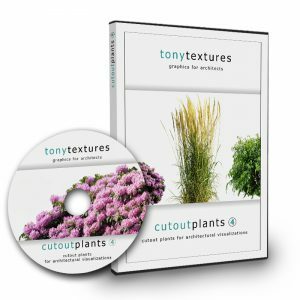 Often time you just look for good photos and browse through your own library of photos taken by yourself and select plants that could be increase the quality of your current rendering project. 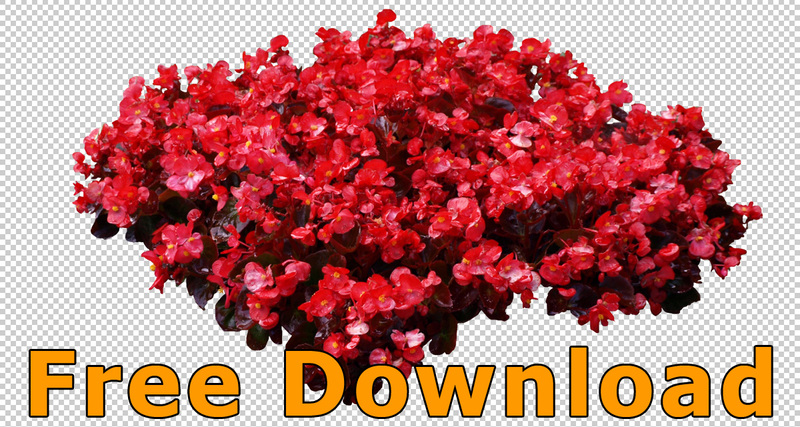 Then the time consuming parts starts: You need to mask the tree or flower to remove the background. Sometimes it is a relatively easy task, but often times it takes time especially if the background of the original image is very complex. 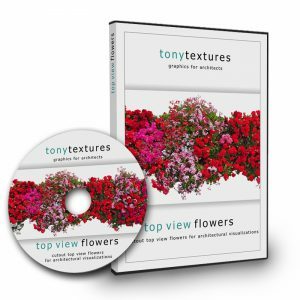 Today we give away some free flowers which you can add to your personal library of cutout graphics for your architectural rendering jobs to save you some time in your next project. The best thing about it: You can even use it for your commercial projects! 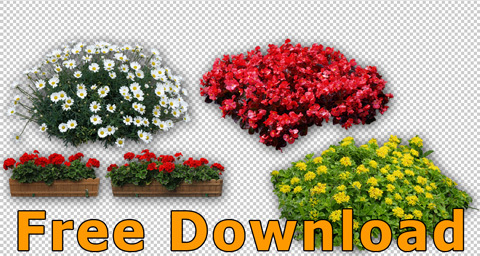 So do not hesitate to take the chance to get some high quality cutout flower images. 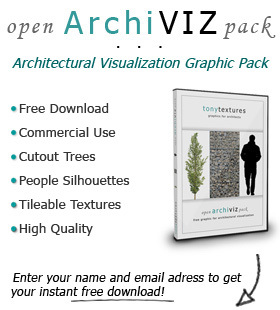 If you like the flower cutouts and they are helpful for your next architectural rendering or illustration job we recommend you to check out our various collections of cutout trees and other texture packages especially created for architectural visualization tasks for an affordable price. Great download. Can make romantic ideas come to live or just increase the realism of some game scenarios.